Lift his students above, both spiritually and physically! Q: Sometimes I don’t feel like doing any exercise. Is it because of lack of energy on those days? A: “Not necessarily, but sometimes over-exertion and over-training also tires the body. You should take rest. Doing this work-out 3 to 4 times a week should be enough for you. Our aim is to stay in shape. We are not body-builders. “Body-building is totally different these days. Earlier, there were no anabolic drugs. People used to work out for health and strength. Over-muscularity wasn’t much sought after. Look at some old body-builders – Steve Reeves for example. He was one of the most handsome body-builder in this history of build-building. He played the role of Hercules; you should watch the movie series (Hercules) if you get a chance – there are about 5-6 of them. Now compare him to the body-builders today sticking their frog-like muscles out! The beauty of body-building is lost in the monstrosity that it is today. I haven’t seen a more shapely body-builder than Steve Reeves. Although in muscularity he doesn’t compare to the body-builders today, but his shape was extraordinary. And I think was much better looking than, for example, Arnold Schwarzenegger. He looked like a real hero, like a Greek god, and in comparison, the modern body-builders look like monster! Same with the other first few body-builders. Jon Gremek, who progressed a lot in Bob Hoffman’s training, was as strong as he was good looking. And he never took any drugs in his life. He used to be able to squat with 400 pounds, even in his 60s! I’m not sure if he’s still alive or not. Joe Weider has totally destroyed body-building by creating an industry around it. “In the old days, there used to be 2 title – “Mr America” and “The Most Muscular Man”. Most Muscular is now Mr America, and the original Mr. America is now gone. Health, strength, and shape used to be the measures before. I just saw the photographs of Ronnie Coleman, Mr. Olympia. If he stood next to you, you’d be petrified! Looks like a monster. I don’t know what Weider has done to this sport. Earlier, there was no money involved. Now, without chemicals it is not even possible to compete with these kind of muscles. You should do the comparison with old body-builders – Steve Reeves, Jon Grimek, Bill Pearl. Bill Pearl was the first red indian to win a world championship. These are legendary names in body building. Look for some old photographs of Jon Grimek. I have read his life as well. He used to do a pose called “flag post” – holding his body horizontal like a flag with both his hands. Imagine how much strength it’d take to do that. I’ve never seen anyone else ever been able to do it. “[…] I did this work-out in college days and I can still feel it’s effects. It developed a permanent V shape and tremendous strength. I was able to do full squats with 400 pounds, bench-press with 300 pounds, and shoulder presses 180 pounds! I used to arm-wrestle with everybody in college and beat them. All machines fail in front of this work-out. The only equipment that comes any close is BullWorker X5. Two legendary body-builders used to do this workout – Casie Jaffer(?) and Mike Manger(?) – they introduced the heavy-duty principle. Other workouts are only for conditioning but this one is for strength. And strength really gives a high feeling – it’s an intoxication in itself. Then you also learn you body’s limits. You will only know that by exerting yourself. “[..] Muscle tissues break during exercise that’s why you feel pain. When you rest, they rebuild and grow in size. They grow to cope with the exertion. That’s why it is called progressive resistance training. Progressively increasing resistance – 10 pounds, 20 pounds, etc, and the muscles will respond to the increase in exertion and grow. “Check out old archives for Bob Hoffman, Jon Grimek, Steve Reeves, etc. Watch Hercules series as well. Victor Mature had not a single cut on his body but his looks were amazing and had great strength too. I got so inspired by his movie (Samson and Delilah) that I don’t remember how many of my students I lifted up overhead with one hand! “He did not have a body-builder look but a manly look.. used to throw man like it was nothing! The film was a classic. The movie was copied in India as well. Premnath played the role of Victor Mature (in movie ‘Aurat’). There was some Indian touch but it was the same movie, scene by scene. But the original is something else. “There’s no answer to Victor Mature. He was not overly muscular but was very strong. Remember how he lifted that fat man in the movie? Even Arnold could not give those scenes. 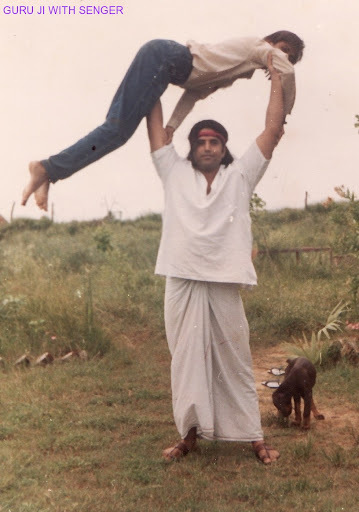 I was so inpsired by that scene, that Upendra Vyas, my disciple who had a similar body like that fat man weighing 107 Kg, even him I lifted overhead with one hand! That has been my heaviest lift so far. Single-handed! This happened in Gwalior cottage days. Have lifted Kashyap more than 100-150 times. He is only 55 Kgs so it was easy. Last year I lifted Ganja but not anyone after that. My mood has changed somehow, don’t feel like doing that anymore. “The strength has supported Yoga practice as well, you can’t ignore that. Like the point that you caught – 200 in Yoni Mudra on the first day itself! If I didn’t have the physical back-up, it was next to impossible. Bullworker will also increase the capacity to hold breath, especially its advanced workouts. It is one of the qualities of Bullworker, that’s why I like it so much. I used to keep two of those, so that if one broke, I could replace it with the othe one and there wouldn’t be a break in the routine. You should aways be ready. I have broken Bullworker X5 at least 6 or 7 times. Some time ago the only shop which used to sell those closed down. After that, I’ve been repairing it myself. It is the finest workout to do with Yoga practice. It’ll drastically increase the breath retention, especially the isotonic one. Q: I read in a book review that according to medical science, rib-case can’t really expand and it’s a myth that body-building expands the rib-cage? “Lalu is doing a good job as Railway Minister. He has put a stop to cold drinks in trains, instead they are serving lass and pede (laugh). He is also replacing plastic cups with clay cups for tea. He has also claimed he won’t increase railways fares. Instead, he has increased the penalty five times for not carrying a ticket. He has a vernacular guise but he is highly educated and is extraordinarily intelligent. 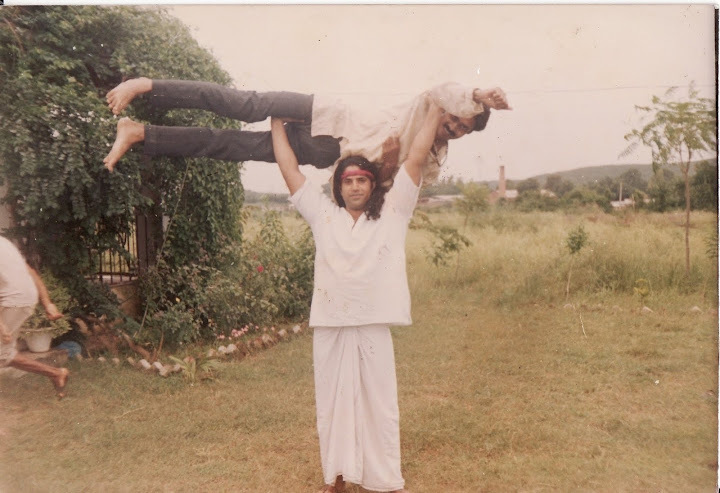 Posted on December 6, 2009 August 21, 2016 Categories body building, early days, kriya practice5 Comments on Lift his students above, both spiritually and physically!